Mandala stamping | Light Your Nails! 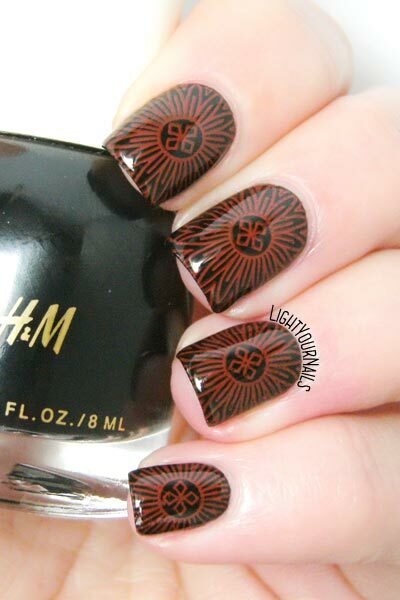 Today I am showing you the nail art I created using H&M Neo Noir as a base. I had initially prepared this mani for a red and black challenge, but the red I used turned out orange over black so I had to pass. I like the look though, so I wanted to share it anyway. It reminds me of some henna tattoos. 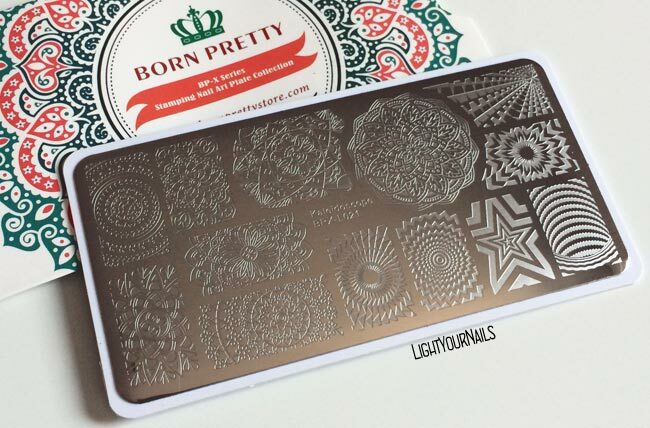 For stamping I used Kaleidoscope BPX-L021* nail stamping plate from Bornprettystore. I love this plate, I’ve already used it several times and it always worked great. I will share all the looks as the time goes by. What do you think of today’s nail art? Does it also reminds you of a henna tattoo? This is so rich looking. I had to catch my breath a bit when I saw it matted. It's simple and chic. Thank you! I knew you would prefer the matte version! This looks really cool, it's like a stylised sun! Thank you Kerry! Yes, I can see a sun, too! Sì, ho capito quali intendi! In effetti ricordano anche quelli! 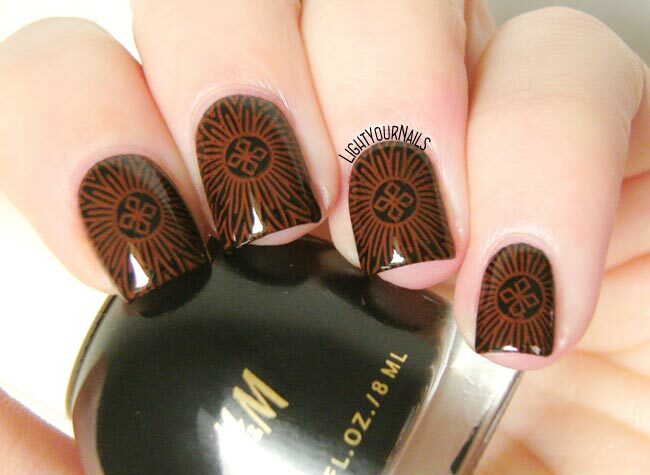 I love this plate and am thrilled with how the black and brown look together with the stamping. I have not tried this combo and now want to. Thank you! The colour outcome was totally an accident! Oh that plate!! I need! Your nail art looks amazing. Saw it on facebook and my jaw dropped a little :-D Gorgeous! Great plate and the colors you picked go really nicely together. Simple but fabulous. Love love love love love love love love love love love love love love love love love love!!!!!!! Li ricorda proprio, anche se io lo vedo marrone e non arancione :) Bellissimo stamping! Grazie! Sto smalto rosso è stato tutto un programma! Lucido tirava più all'arancione bruciato, appena l'ho mattificato è diventato quasi marrone in effetti!